The 2019 Tulsa Engineering Challenge was held on March 1, 2019, at the Tulsa Tech Riverside Campus. The Challenge is a hands-on opportunity for youth to explore problem-solving, designing, and construction of devices that accomplish specific tasks. 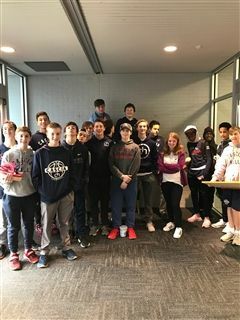 Several Cascia Hall Middle School students joined Mrs. Vincent in this year’s Challenge. Jackson McCormick designed a chemical reaction that interrupted an electrical circuit for a light bulb. Jackson also participated in a digital activity which incorporated this year’s theme into a digital poster design. 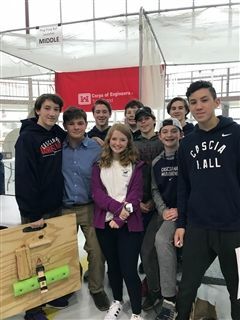 Several boys designed, built and tested a ping-pong ball launcher powered by a common household mousetrap that propelled as many ping-pong balls as possible into a target in two minutes. Owen Pazzo and Cameron Clark won 1st place with 1300 points. James Benien and Hunter Stockton earned 2nd place with 1250 points. Students designed, documented, and constructed paper gliders to demonstrate maximum distance and duration of flight. First place in distance was earned by Mason Shiflet and Cole Bacher with 96 feet. Second place was earned by Owen Pazzo and Tyler Vincent with 92 feet. Third placed in duration was earned by Kate Maricle, Baxter Robertson, and Hunter Stockton. Student-teams participated in an Extreme Engineering Challenge by designing and building something on site with materials that were provided for them. Students constructed a paper container and dropped a marble 15 feet from their container into a frisbee. 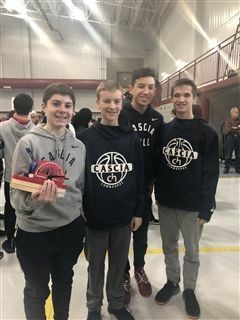 First place was earned by Cole Bacher and Tyler Vincent having dropped closest to the target and creating their apparatus in the least amount of time. 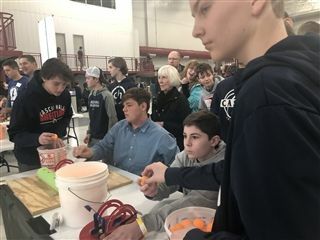 While promoting interest in science, technology, engineering and mathematics (STEM), fun was had by all who attended the annual Tulsa Tech Challenge.